According to Saudi Electricity Company (SEC), Tayseer program allows the customer to pay the average monthly consumption in equal installments, which will provide financial settlement between the customer and the company till the end of 2018. Why I am in Tasyeer Program? Those who monthly bills are in between 300 to 3000 Saudi riyals are automatically registered in the program starting from the bill of month July 2018. Why I am not in Tasyeer Program? 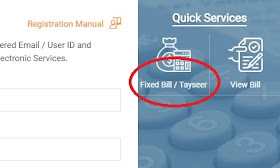 Customers whose electricity bills are less than 300 Saudi riyals or more than 3000 Saudi riyals are not registered in Tasyeer program, However you can register or subscribe to it manually by following the below procedure. What is the procedure to cancel the subscription of Tasyeer program ? 2. 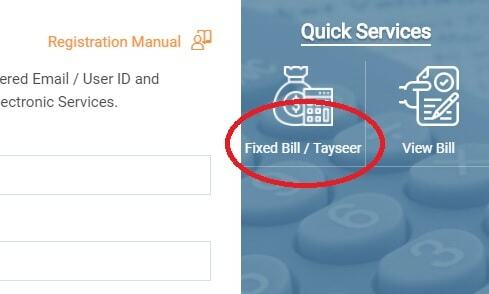 Click on “Fixed Bill / Tayseer“, A window will open in the same page. 3. 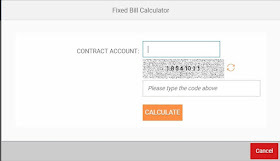 Enter your “Account Number“, Image code from the above image and click on “Calculate“. 4. Click on “Subscribe” or “Unsubscribe” as you want and the confirm the message by clicking on “OK“. 5. It will take some time, You can recheck your status by following the same way from Step 1, It will display like “Subscription registration in progress” or “Subscription cancellation in progress“. 6. 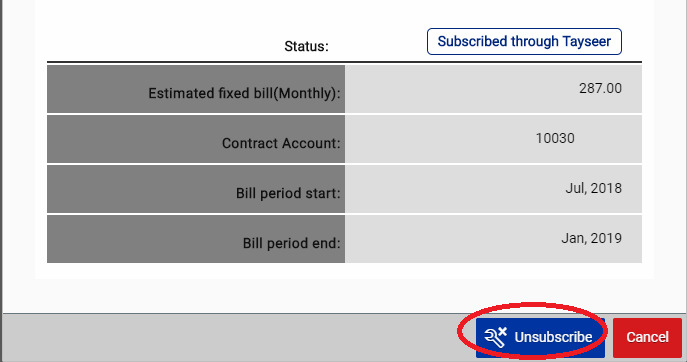 Wait till your status become “Subscribed” or “Unsubscribed“, It will be applicable from your next billing. This entry was posted on Sunday, August 12th, 2018 at 12:01 am	and is filed under Kingdom. You can follow any responses to this entry through the RSS 2.0 feed. You can leave a response, or trackback from your own site.